SAN FRANCISCO -- Owen MacKenzie was getting ready to start when he noticed Colin Peattie nearby. 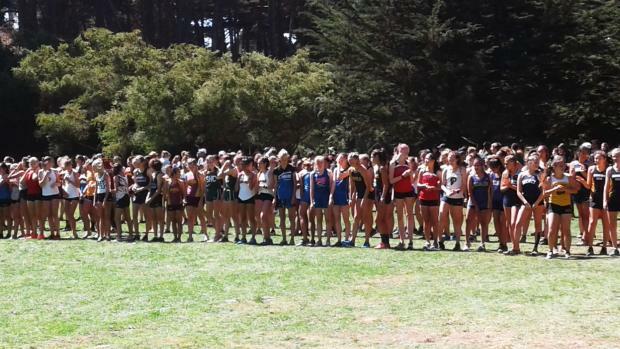 It was at the start of the second heat of the boys varsity race at the Lowell Invitational on Saturday in Golden Gate Park. "I saw him and said, 'Let's go break 14 (minutes)!,' and he said, 'Oh yeah, right on!,' " MacKenzie said. Said Peattie, "Right out of the gate, I saw him to my left and I went over and started running next to him. We were just kind of working together the whole way." Through the first part of the 2.9-mile course, MacKenzie and Peattie were right next to each other. MacKenzie, a senior at Los Altos High School, was calling out splits. Peattie, a sophomore at Bellarmine, kept up. Near the end, MacKenzie tried to put Peattie away, but Peattie had a terrific kick. The two hit the wire together, with Peattie just eeking out the win. "It was pretty tight the whole time," said Peattie (pictured). "He started to open up a gap near the two mile and I just gave it all I had the last 150 (yards) to catch him." Both runners were timed in 14 minutes, 37.1 seconds. Las Lomas senior Preston Norris won the other heat in 14:35.5. It ended up a beautiful summer afternoon in San Francisco, a far cry from the heat that many of the runners were used to training in. "It's nice to get out of the heat," Peattie said. "Much better than probably next week's going to be down in Salinas! Super hot!" 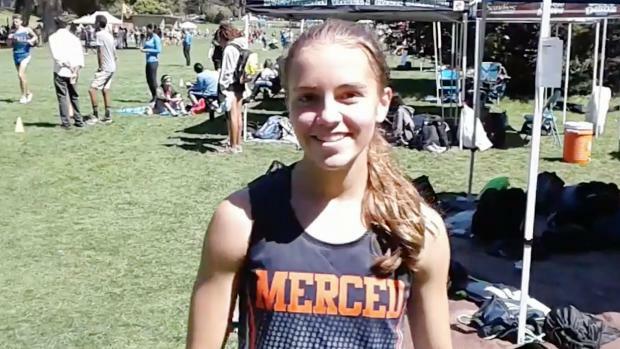 Added Merced senior Quinn Hagerman, who won the first heat of the girls varsity race, "It was 95 every day this week so coming here, like (my coach) said, it was like running in air conditioning - 30 degrees cooler, I really wanted to take advantage of that. This was great, this was phenomenal. A perfect day." Hagerman won her heat in 16:49.8. Healdsburg senior Gabrielle Peterson won the second heat in 17:00.8. Peterson is a fascinating story. She spent her childhood practicing a form of Jiu Jitsu and didn't pick up running until high school. "When I got into high school, I wanted to try a school sport, so I went out for cross country because it was a no-cut sport," she said. She needn't have worried. 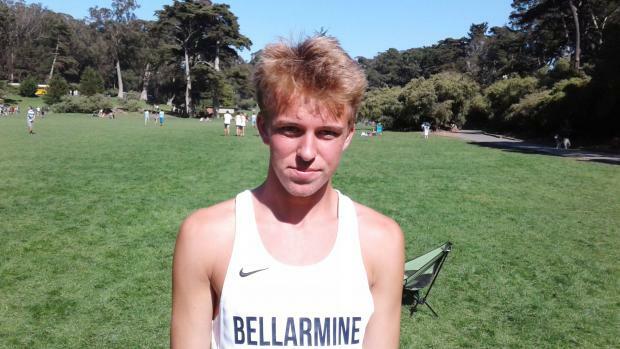 Peterson won the 1,600 meters at the North Coast Section Meet of Champions in the spring and came back to take fourth in the 3,200 - an impressive double that few attempt. 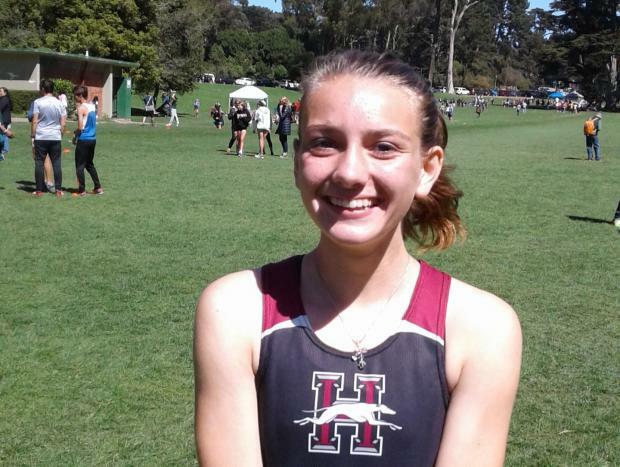 She then took 10th at the California Interscholastic Federation championships in the 1,600. Peterson is a black belt in Jiu Jitsu but laughed when told that means nobody can mess with her. "Oh, dear, I don't know about that," she said. Hagerman has been running since third grade. "It was mostly because I wasn't any good at anything else," she said. "Like any other kid, I tried soccer and the only part I was good at was chasing everyone up and down the field." Jokes aside, Hagerman blossomed when she got to high school. "I got into it moreso when I started to meet some really good competition and challenging myself at the state level," she said. Hagerman said her goal for the Lowell Invitational was to be around 17 minutes. She based that on researching past times by some of the runners she has competed with in the past. "I was really happy (with my time)," she said.